Glamping is relatively a new travel term that simply means going camping but in a glamorous way. Basically, it is a way for comfortable hotel travel to be taken to the great outdoors with luxurious conveniences that most of us enjoy. 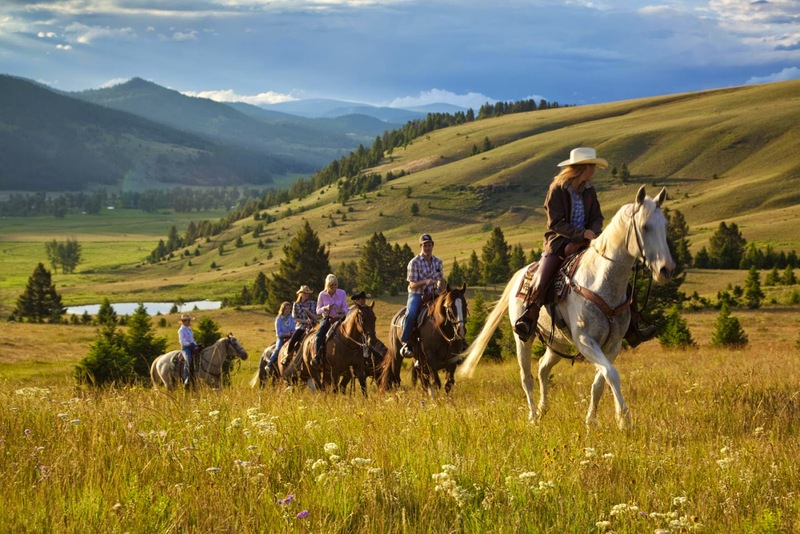 There are many great mountain resorts across the nation like The Ranch at Rock Creek in Montana. 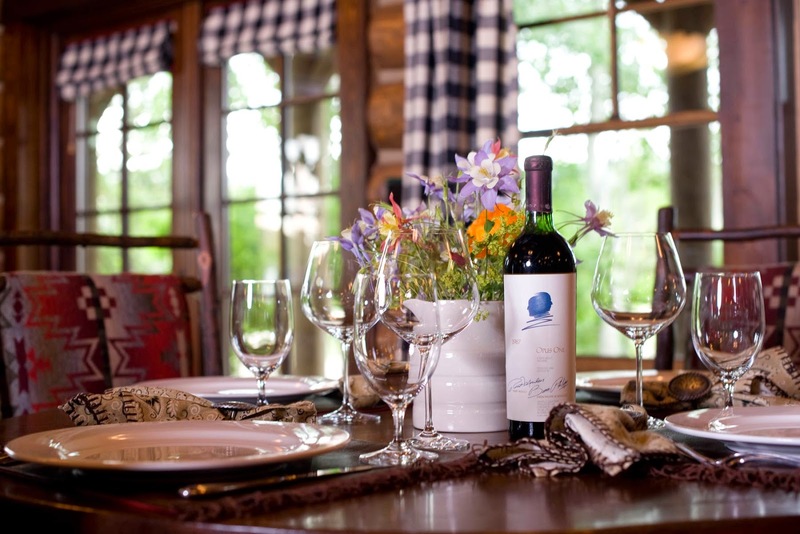 The ranch offers luxurious accommodations for families or for couples who are just looking to get away. Here are some of my favorite Glamping Tips when you are heading to a mountain resort. 1. Comfortable Footwear - You will be doing a lot of activities which means a lot of walking. Leave those high-heel stilettos at home. Pack a comfortable pair of walking shoes, athletic sneakers, sandals and/or hiking boots. 2. Skin Protection - You will want to bring along a bottle of SPF 30+ waterproof sunscreen, insect repellent and an after-sun lotion or balm. If you are really sun-sensitive, bring along a hat or sun-shielding umbrella. 3. Appropriate Clothing - The early morning and late evening hours tend to be on the chilly side in the mountains. During the day, the afternoons can really heat up. Pack a variety of clothing to accommodate both temperature changes. 4. Cosmetics & Toiletries - You are going on vacation to relax and to have some fun! Bring along only the basics that you need and only in the small travel sizes. To keep things neat and organized, pack them in plastic zipper closure bags. 5. Bring Rainy Day Entertainment - There may be days where the weather will keep you indoors. Bring along a deck of cards, a good book and a few travel-sized games to keep you entertained. 6. Meal Planning - Know ahead of time where you are going and what they provide in the form of food, beverages and snacks. Make a list of what you need and look for items that don't need any type of refrigeration which will make them easy to transport. 7. Flashlights, Lanterns and Candles - Pack a flashlight and battery-operated lantern to take along with you. If you want to sit out during the evening hours or take a nighttime stroll, you will have plenty of lighting for your needs. If you plan on having a little romance, buy travel candles which come nicely packaged in metal tins. When it comes to going camping, no one said you had to "rough" it. These days, going glamping is a perfectly acceptable way of going camping. There is no right or wrong way to do it. Disclaimer: This is a sponsored blog conversation by the advertiser mentioned in this post. I have always wanted to visit Montana. 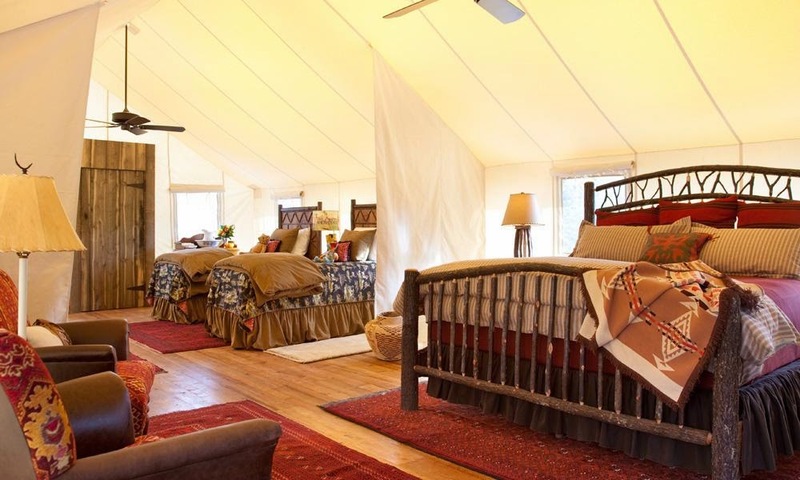 These are great tips for glamping. I don't want to "rough" it. I could use one of the BYBLight flashlights you have reviewed.